I drive a 2006 Hyundai Tiburon with the J290 stereo and six CD changer. If you have this stereo or a similar such stereo you know how it “remembers” what track was playing and exactly where it was playing when you turn it off and back on or switch to the radio. Anyway, this morning, in haste before starting the car or even turning the key to the accessories position, I wanted to swap out the six CDs in the stereo and thus I ejected all of them by simply pressing the eject button. The battery can handle powering the eject mechanism, right? “Ah, it’s just a glitch,” I thought, “I’ll simply press the load button and put a new CD in there to clear it up.” Nope. The stereo would have none of that. 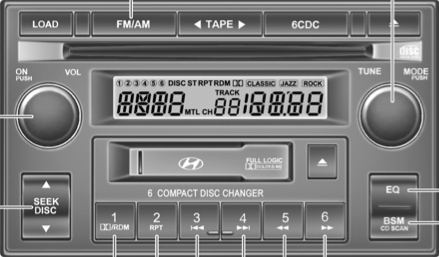 In fact, the stereo’s CD menus were completely frozen; it would not allow me to do anything with the CD changer, but the radio worked just fine. “Okay, when I get to my destination I’ll pull the fuse to the stereo, which will reset the stereo, and then I’ll have my beloved bass-thumping stereo back.” Nope. That didn’t work either. Once I finally got home at the end of the day I detached the battery. That did the trick. Everything appears to be functioning normally, though I need to reset the clock and my radio presets. This reminds me of a few PCs and laptops I’ve used over the years that wouldn’t shutdown, even after depressing the power button, and would only turn off after disconnecting the power cable or yanking the battery from the laptop. Conjure up in your imagination any of several images from the Terminator or Matrix movies to see the future of where we’re going with technology that won’t behave! Or maybe we humans will wind up being the oppressors of non-compliant technology as in the flesh fair scene in A.I.